To a large number of workers, night shifts are not an uncommon occurrence. With more and more people making the jump from traditional 9-5 working hours to unconventional night shifts, companies need to ensure their employees are protected during unsocial hours. You are considered a night worker if you regularly work at least 3 hours during the ‘night period’ which is between the hours of 11pm and 6am. According to new analysis, the number of people regularly working nights in the UK has increased by 260,000 in the past five years. Britain’s late night workforce has almost reached 3.2 million, a 9% rise since 2012. Night shifts are generally more frequent in specific industries such as care work, emergency services, security, logistics and transportation, railway and hospitality. Many individuals tend to favour this style of working as an alternative to early mornings, busy commutes and sometimes lower pay rates. However, despite the benefits, night workers are often more at risk of attacks, theft, anti-social behaviour and other dangerous incidents. Shopkeepers are one group of lone workers who are at heightened risk during evenings and nights when criminals are more likely to target shops. Last year, a shopkeeper was left in a critical condition after being attacked by three teenagers. The incident happened at 11:45pm in Mill Hill, north London when the shopkeeper refused to sell the teens cigarettes and alcohol. Unfortunately, this is just one of the numerous violent robberies that occur during the night. In 2017, a London night tube driver was attacked by a gang of graffiti vandals while returning his train to its depot. The driver responded to an automatic alarm indicating that the rear cab door had been opened. As he went to investigate, the men sprayed the driver with paint, tripped and kicked him before stealing his radio. Attacks on drivers returning trains to depots late at night is not an irregular occurrence and this incident was just one in a string of similar attacks. 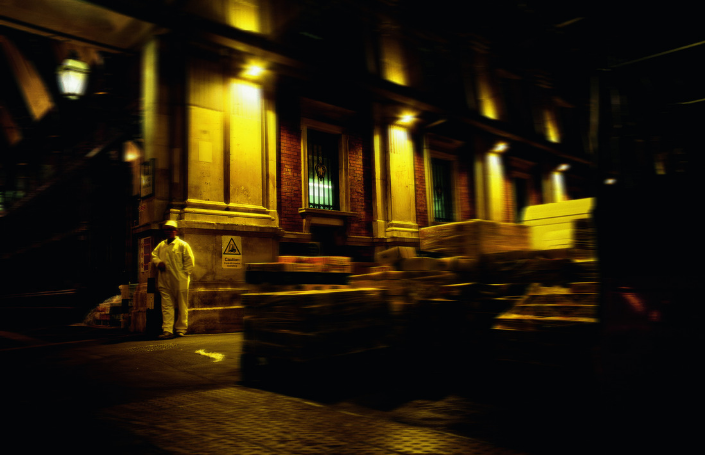 Night workers often carry out their shift alone and this can leave them vulnerable and exposed. It’s important to have fundamental practices put in place to make sure night workers and lone workers are provided with the correct support and are kept safe during their shifts. When working alone, it is particularly important for employees to be aware of what is happening around them. Lone workers should stay alert and take note of any changes happening, ie. customers entering the space or acting suspiciously or aggressively. Attackers are less likely to target you if you appear confident. If you feel threatened try to stay calm keeping movements slow and measured. Additionally, attacks are less likely to escalate if the employee knows how to handle the situation. In roles where aggression is common, training could be crucial in preventing serious incidents. Make sure at least one other person knows of your whereabouts, the time you start your shift and the time you finish. Having a panic button in fixed establishments and/or a lone worker device ensures that someone can be alerted in the event of an attack and assistance sent as soon as possible. Having an accessible lone worker app such as StaySafe can protect night workers from unavoidable risk. The intuitive safety app monitors the location of lone workers in real-time and allows them to check-in safely once they have finished a lone working or travel session. A panic alert can also be triggered discreetly using the phone’s power button, so as not to aggravate the situation further, while missed check-ins and man-down functions ensure an alert will be sent even if the lone worker is unable to do so. Find out more about the lone worker app or book your free demo.